Celebs should worry about what they tweet, but what about what they don’t tweet? Are they liable for this as well? We know about the benefits of social media, but has anyone considered what a monster it could be? Justin Bieber’s manager sure has. YouTube sensation turned mini-prince of pop Justin Bieber dominates the media. If you’re unfamiliar with the 16-year-old teen heartthrob, ask any girl age 2 to 15 for a full biography and brace yourself for a squeal. Usher signed Bieber after he appeared in his hometown of Stratford, Canada’s version of “American Idol,” and his mother posted his songs on YouTube. Bieber became an instant sensation after his first single, “One Time,” hit the airwaves in 2009. Young girls Google, YouTube, Facebook and Tweet him daily. Even girls as young as 3, which can be seen on YouTube, cry because they “love Justin Bieber so much.” My 13-year-old sister begs my mother every day for a Facebook and Twitter account only for purposes of knowing Bieber’s every move and thought. His videos on YouTube boast tens of millions of views; “One Time” has been viewed more than 58 million times since it posted in November 2009. According to the Huffington Post, Bieber racks up 11,000 new followers a day on Twitter, where his place as a trending topic might be permanently secured. Even if you’re not a Bieber fan, it’s hard to ignore the social media sensation he creates every day. It’s been very hard for his manager Scott “Scooter” Braun to ignore — he was arrested for refusing to send a Tweet about a canceled appearance. When Bieber’s appearance at the Roosevelt Field Mall in Winston Park, New York, was canceled, Braun didn’t inform loyal fans about the change in plans. 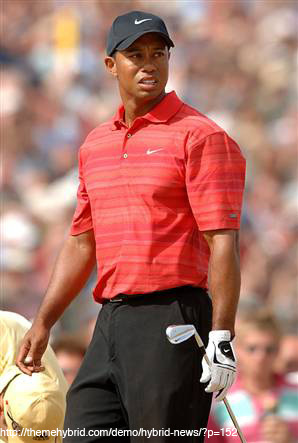 Police reportedly asked him to send a tweet when the crowd began to get out of control. He refused, and a teenage girl was injured in the mob. Braun was arrested and charged with reckless endangerment, criminal nuisance and endangering the welfare of a child. Has social media become so important in our lives that we could be charged for “failure to tweet”? Braun’s only real offense is refusing to send a message to fans in 140 characters or less. I relate to every tween’s heart-felt obsession; I felt the same way about Zac Hanson from age 10 to . . . well, I’m pretty sure I still love him, and it makes my day to see a new tweet from @hansonmusic. But Zac Hanson’s lack of tweets never hurt anyone or got anyone arrested. What makes Bieber’s obsessive fans different from Hanson’s? Social media, of course. Are we creating a new area of social media responsibility? Should we hold celebs accountable for refusing to tweet? As social media grows into a larger monster than anyone expected we might see more celebs suffering from the Bieber effect and poor managers who have to take responsibility for a failure to tweet. As PR peeps, what can we learn from the Bieber effect? Simply put: tweet, or don’t tweet, with caution. News from the computer? Yeah right! Wow, was this concept really so far-fetched? After viewing this 1981 T.V. newscast, you’ll see what I’m talking about. The newscast shows the exploration of posting news on the Web. It gives an inside look to the very beginnings of people receiving news from their computers instead of the actual newspaper. It’s hard to believe how far technology has come since then, but watching this video is a reminder of how fast an industry can change and evolve. PR pros are always on the look out for the “next great media tool.” They were among the first to not only embrace Twitter but also to know how to utilize the site to its full potential. I wonder how many PR professionals were on board with this concept in 1981. This clip is actually quite humorous when you hear some of the comments the narrator makes during the cast, especially at the end when he alludes to the fact the newspaper stand doesn’t have to be worried about being out of a job “at least for now.” It’s bizarre how on-point some of the assumptions are. In an article I recently wrote for Platform Magazine titled “PR & Print in a Changing World” I discussed the drastic change in the consumption of print media. In recent years, the majority of media consumption has gone from hardcopy to digital. This video goes to show the process hasn’t happened as quickly as it may seem today, but through steady development it has taken over. The Internet has become more advanced than anyone in the 1980s probably imagined. This blast from the past should serve as a warning to PR pros. Don’t get too comfortable in any medium, and be ready to embrace “the next best thing” even if it seems as far-fetched as reading the newspaper from a computer screen. I follow, you follow, we all follow … but are PR pros really interested in networking with students? With competition so high in the public relations field, it is only natural for PR pros to compete for clients and to develop their own personal brands via social networking sites. Building your image as a PR pro is important to helping one stand out from the crowd, but not all PR practitioners seem to remember where they came from. Do these individuals really care about the relationships they make through networking? While recently writing an article, I was shocked to see how some PR pros feel about taking the time to talk with PR students. While this may have been an isolated incident for me, it really made me start thinking about challenges PR students face when networking. As students, we look up to professionals in the field for guidance and information. This is a common practice in many fields. But what do we — as students — do when those mentors we look up to are just too busy or simply do not care to answer our questions? Many professional relationships are now Web-based and therefore lack face-to-face interaction. As a result, some PR pros are simply promoting their own names with Twitter and Facebook, giving a false sense of friendship. Don’t get me wrong … I have many professional friends who would and have answered questions when I asked them. However, it is discouraging to see some professionals who obviously do not care about answering questions for future professionals in the PR field. So, if you follow me or I follow you, does it really mean we are friends? If you ask me a question, as a friend, wouldn’t you expect me to answer? One of the challenges with writing articles that require primary sources is finding those who will take the time to respond to your request. Just because you have online relationships with PR pros doesn’t mean they will take the time to help you when you need it. I am still waiting on a response that was forthcoming for an article posted almost two months ago. Some PR practitioners seem to be interested in promoting their professional image by helping students, but others seem to be unprofessional while chalking in the rain. PR pros need to think back to their college careers and remember specific people who helped them along. How did they get their first job? Who encouraged them their senior year in the job search? It is important for practitioners to realize the potential they have and encourage students as they approach graduation. It’s important for PR pros to give back to something they once benefited from. PR pros should remember they were once students looking for answers, and their responses mean a lot to those who ask. PR students are not competing with professionals; they’re just looking for answers. PR pros interested in assisting students might want to pay more attention to their questions, volunteer to speak at a local PRSSA meeting or even mentor specific students who express interest in their particular field. Just taking a few extra minutes to assist these students can make a big difference in the future of public relations. Twitter is one of the newest forms of social media and has become extremely popular with young adults and celebrities, but is everyone using this Web site for the right reason? Of course, some people are absolutely getting their name out there for job opportunities, self-branding and, most importantly, to have fun. However, in news media reports we are now seeing an increase in celebrity houses getting robbed and vandalized. Some celebrities are even having trouble with stalkers, which isn’t uncommon, but could some of these problems be prevented? I think so. For Example, take a look at Paris Hilton’s Twitter account, and you can know where she is and what she is doing. Now, what should celebrities be tweeting? As a PR student, I learn about all the different uses for social media and the success it can have when used correctly. Celebrities should be promoting their products, book tours, movies and appearances; not that they are going to be on vacation for the next two weeks. Celebrities need to learn from PR agencies who have caught on to the Twitter craze and recently started using Twitter for extra exposure for their clients, giving them an edge and allowing them to connect with a higher number of people. I’m not one to pick on the rich and famous. Even I have found myself using Twitter as more of a status update rather than a way to increase my presence in a world that is all about social media, and I’m sure others are just as guilty. PR is all about getting out there, making a name for yourself and promoting clients. Twitter is one of the best ways for PR students and professionals to meet one another, share ideas and possibly land a job, which has become fairly difficult these days. My advice, to myself as well as others, is to make the most out of social media and learn from the people who have mastered it. Get out there and connect, but tweet safely. Panama City Beach, Fla., has been a popular spring break hot spot for the past 25 years. Several thousand people party in PCB every year from all over the country. PCB has earned a bad rep for incidents that have been highlighted in the media. Each year the crowd seems wilder and more promiscuous than the year before. I know, as a college student, people want to enjoy their spring break to the fullest. I mean you’re only young once right? PCB has a crowd that is licentious and chaotic, so if you aren’t ready to be surrounded by shameless college students then this isn’t the place to be. No, not everyone who partakes in the spring break right of passage in PCB is an intoxicated, immoral student, but that’s the image spring breakers bring to the city. The PCB Tourist Development Council has been sending mixed messages about the reputation they want for the city. Just a couple of years ago they allocated money to draw the MTV crowd; now they are reversing that decision and trying to gain a more family-oriented image. The new Pier Park shopping center is a step towards a more family-friendly environment. From a public relations standpoint, I can see why a good image is so important for the city. I think many locals will be unhappy with a decision that drives away college students, but students will move on to the next spring break destination. According to a pcbdaily.com article, the TDC’s perspective of a cleaner image means no more MTV advertisements or events and a much stronger police presence during spring break. Limiting paid advertising to “Spring Break Responsibly” campaigns, engaging in proactive spring break public relations activities and developing a spring break section of VisitPanamaCityBeach.com with spring break responsibly messages are some actions the TDC has taken to improve the city’s reputation. In the comments section of the pcbdaily.com article, a PCB resident voiced support for the spring break re-branding initiative: “The argument has been that a family will spend more money here than a college student, we just have to let families know that this is a good place to come when they are on spring break vacation. There will always be college kids coming here for spring break; we live in a beach town. However, to promote a crazy party atmosphere, I feel, is detrimental to our area.” Of course families enjoy Panama City Beach because it offers numerous activities including shopping and restaurants. Other residents are divided on the issue. Some see the benefits of a swarm of intoxicated college students spending their cash at local businesses. A PCB resident said, “The college crowds have some bad points, but the good far out weigh the bad. It’s nice to see the beaches full of people after a quiet winter.” Some fear the more family-friendly image of PCB will drive away college spring breakers and hurt the local economy. “It’s a ghost town and it’s been that way since they ran off Spring Break. It all started with them wanting to change their image,” voiced a concerned resident referring to Daytona Beach, Fla., when it revamped its image. If Panama City Beach wants to improve its spring break image, it could be difficult. 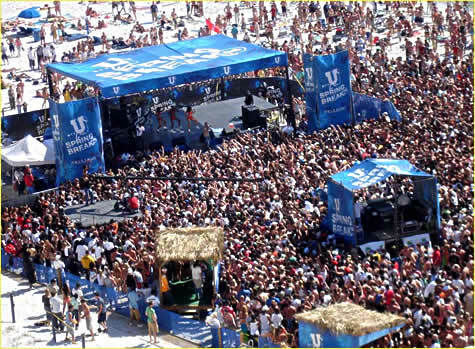 Spring Break 2010 in PCB will still be full of college students and parties. If the city does decide to embrace its new family-friendly image, don’t expect it to take effect for a while. If there were an Oscar for PSAs, I’ve found my pick for 2010. Over the past few years, I’ve seen scores of PSAs that cram enough gore for a Tarantino movie into a single 30-second spot. This week, for the first time in a long while, I saw a road safety PSA that caught my attention but didn’t make me squirm in my seat. No neck-snapping sound effects. No painful screams, traumatic injuries or horrific deaths. Not a single drop of fake blood. The “Embrace Life” PSA, created by the Sussex Safer Roads Partnership (SSRP) in the United Kingdom, veers from the road that too many driving safety PSAs have taken. Instead of using fear tactics or graphic images to shock and frighten viewers into action, this 1:29 video PSA uses images of love and family as persuasion to buckle up. I find this approach tremendously refreshing. It’s seemingly easy to use a scare tactic with a topic like driving safety. Take, for example, this PSA, a Welsh video which gives a graphic and bloody warning against texting while driving. That particular video was the subject of quite a bit of discussion and controversy–as well as a Platform Magazine article–about the boundaries for graphic images in ads. But the Welsh PSA was nothing new or original. This seatbelt safety PSA uses the same shock and awe tactic and the same gory images to deliver its message. And so does this one. And this one. And this one. At this point, I think we’ve all seen enough violent and horrifying PSAs that we’ve become desensitized to the messages, which makes the “Embrace Life” ad all the more brilliant. It addresses the issue of seatbelt safety from a completely different perspective and in a positive light. Moreover, it doesn’t make me regret bringing leftover spaghetti for lunch. This positive approach has been incredibly successful. Two weeks after the local government campaign PSA was posted on the Internet, it had been viewed more than a million times. As of today, the video has more than 2.6 million views and has been featured by CNN, the Huffington Post and news networks worldwide. SSRP has also received requests for licensing to broadcast the video from television stations in Brazil, Canada, France, the Arabian Gulf and four states in the USA. To me, this PSA is a fantastic example of the capabilities of the medium. Just because you’re a government agency with the same ol’ message about fastening your seatbelt doesn’t mean you should create a PSA that’s the same as every other seatbelt safety ad. As PR professionals, we shouldn’t limit ourselves to what’s been done before, and we don’t have to resort to using shock tactics to grab people’s attention. Presenting a worn-out message in a pleasant and original way can be considerably more powerful than using disturbing and negative images to deliver the point. Besides, leaving your audience feeling warm and fuzzy is infinitely better than leaving them appalled and disgusted. Especially before lunch.